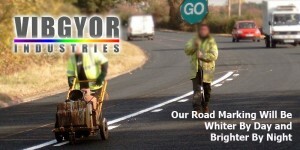 We have a full fledged department to look after Thermoplastic Road Marking. Over the years we have gained the expertise and edge on the execution of Thermoplastic Road Marking with additions of excellent Imported Machinery and Trained Manpower. We are using very best In India i.e. ASIAN PAINTS ROAR Material and Glass Beads of POTTER INDUSTRIES LTD. AUSTRALIA. 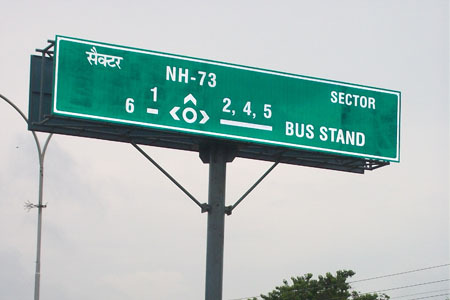 We are trusted for manufacturing and supplying Overhead Cantilever Signs, which are designed in compliance with IRC-67-2001 and MORT&H specifications. 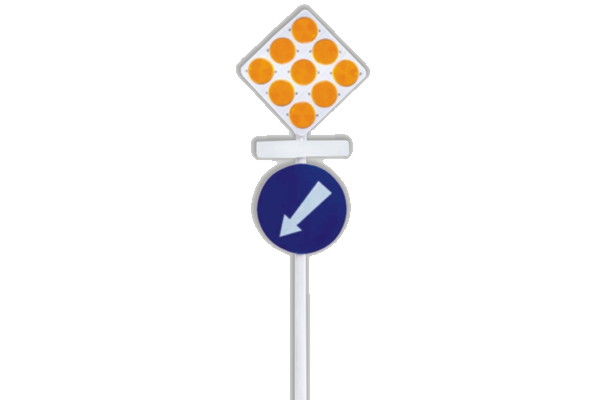 These signs contain important guidelines for the commuters and are designed with a fine durable finish. 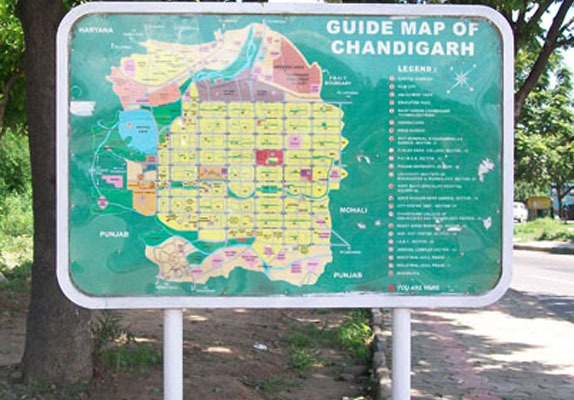 Made of 2/3 mm Aluminum sheets, these signs are long lasting in nature and not affected by adverse climatic conditions. Technology gave another gift and we at Vibgyor have implemented the Stainless Steel (SS) Sign Boards in various parts of Punjab like Bhatinda, Muksar, Malot, Mohali and more. 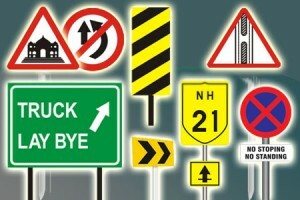 Stainless Steel Sign Boards are as-strong-as traditional iron road sign boards rather lighter in weight. Their best advantage is they remain as-it-is for years and increase visibility at night due the power of steel reflection. VIBGYOR Manufactures High Quality Reflective Products. Reflective Sign boards Supplied By VIBGYOR Have Excellent Visibility Range, Creating Maximum Advertising Effect With 24 Hours Exposure. VIBGYORâ€™s knowledgeable staff can provide information, support and advice regarding the proper use of reflective sign boards. 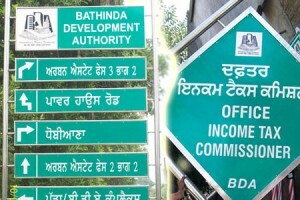 These signs are made with the highest quality materials. We, being a SSI unit with ISO 9001:2000 certifications, are engaged in manufacturing, supplying a wide array of Traffic Bollard. These products are widely demanded for high luminosity, visibility and clarity. 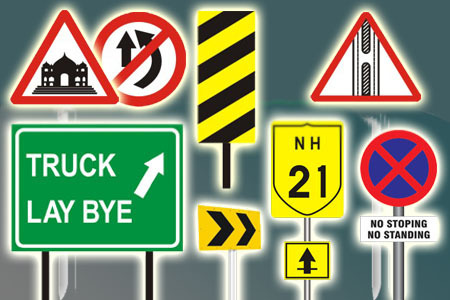 We manufacture and supply a rich assortment of Traffic Light Bollards & Sign Boards, which are used to provide guidance of traffic regulations and rules. 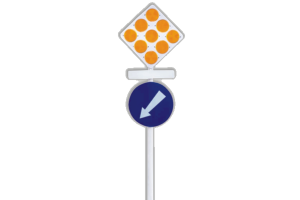 Specially designed for safety purposes, these bollards are fixed in different diversions as well as crossings. 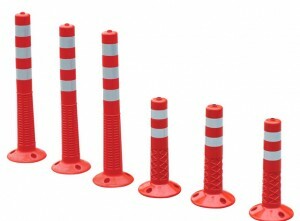 These are applicable in Bus lane control, pedestrian walkway schemes, Private roads/ Entrances and Controlled parking. Our products available at market leading prices to the clients and these are manufactured with perfection. 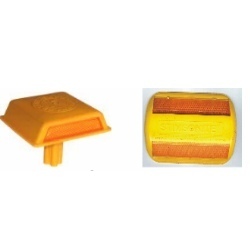 We, being a SSI unit with ISO 9001:2000 certifications, are engaged in manufacturing, supplying a wide array of Hazard Markers. These products are widely demanded for high luminosity, visibility and clarity. 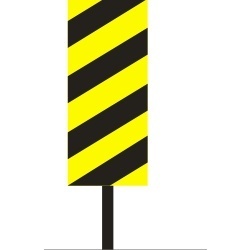 Our company manufactures and supplies a competitive range of One Way/Two Way Hazard Markers that are available with high quality standards. We check these products using strict quality control system on the basis of different quality attributes. These markers are used on the highways and roads as well as we manufacture them as per the international quality standards. Thus, these are easily available in several sizes, specifications and designs in the competitive market. Supplier & Manufacturer of Flexible Post. 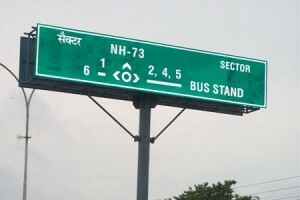 Our product range also comprises of Sign Board, Indicated Sign Board and Delineator & Edge Markers.